Referred to as the "gateway to Europe," Rotterdam is the largest industrial city in the Netherlands, and is known as the world’s largest port. Many leading corporations and various country’s trade centers all setup branches here. 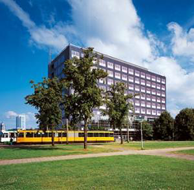 University Rotterdam, founded in 1913, is a practice-oriented comprehensive university. Since its founding, the school has trained over 1.5 million graduates from all over the world, whom many of them have become business executives and high-level officers in governments. Rotterdam School of Management (RSM) is one of the university’s 8 colleges, and is the pride of higher education in Netherlands. In the world’s top 100 prestigious business school ranking published by UK’s Financial Times, RSM has always been ranked among the world’s top 30 and Europe’s top 5. 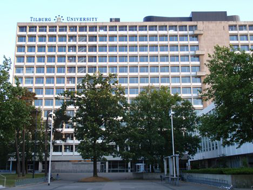 Tilburg University was founded in 1927, formerly an economic school with six areas of expertise. 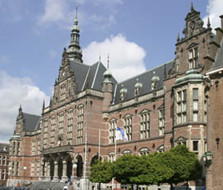 The university is highly recognized in the academic arena for its field in economics and law. In addition, the school also draws much attention due to its studies in humanities and social sciences. The school possesses many well-organized research and graduate institutions. Its excellent reputation has drawn students from more than 97 countries to study here. The school also partners with 197 universities worldwide, and sends out around 350 exchange students to study abroad each year. 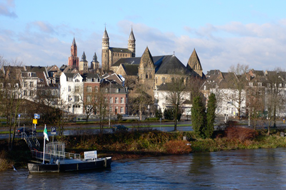 Founded in 1975, Universiteit Maastricht is one of Netherlands’ youngest universities. Emerging amongst other universities, the school is characterized by its unique teaching method, high-quality research work, and broad visions, with outstanding performance in the assessment of its in and out of campus teaching and research. Over half of the graduate students are not local students, and one out every seven students holds a foreign passport, demonstrating a diverse student body. The internationalization is also reflected in its curriculum designing, in which a majority of its graduate courses are instructed in English. The university has 7 colleges and 44 specializations to choose from. In addition, the university also proactively seeks for partnerships with world renowned universities. 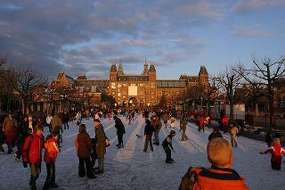 Every year, the school offers over a hundred students opportunities to go on an exchange, enabling them to travel around the world and obtain practical experiences.